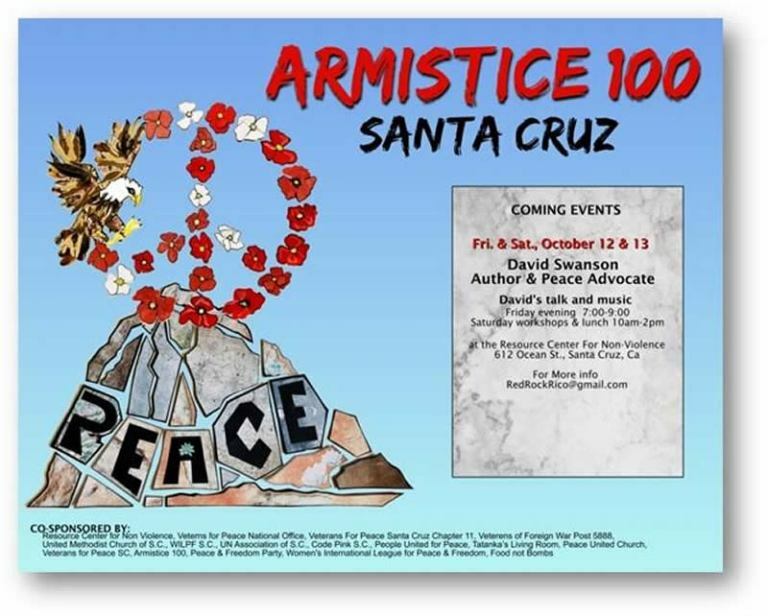 David Swanson will be speaking in Santa Cruz, California, one month before Armistice Day 100, on October 12 and 13, 2018. The Friday evening event is from 7 to 9 p.m. and will include music and book signing. The Saturday event is from 10 a.m. to noon and will include lunch. The location for both events is the Resource Center for Nonviolence at 612 Ocean Street, Santa Cruz, Calif.
For more information, email RedRockRico at gmail.com.